The OGC Array team has more than 10 years of experience in Genotyping, Gene expression and Methylation array technologies. We offer a flexible high quality service with fast turn-around time and the expertise to handle large-scale projects. Based on Illumina’s BeadArray iScan system and Affymetrix* GeneTitan microarray platform, we propose a range of applications to support small-scale and high-throughput studies. For project validation and targeted analysis we also offer a Fluidigm Biomark HD combined with an IFC controller HX as a walk-up platform. We average 95 projects per year, ranging from a few hundred samples to projects of over 15,000 samples. Our total capacity is 100K-150K samples per year across the Affymetrix* and Illumina platforms, with sufficient staff flexibility to meet challenging deadlines. We are always willing to discuss needs and alternative approaches. Please contact us for advice or more details or refer to our guidelines for sample submission details. The iScan system supports Illumina’s broad portfolio of genome-scale assays for genotyping, CNV analysis and methylation profiling. We process Illumina array projects using automated workflows on the Tecan LIHA robot. BeadArray chips are scanned on two iScan dedicated scanning systems linked by an Illumina Autoloader 2.x to provide high sensitivity and throughput flexibility with 24-hour, walk-away data acquisition. Our experienced team can handle 1152 Illumina samples each week. Read more about the Illumin iScan System and Illumina array technology. The GeneTitan Instrument automates High-Throughput (HT) array plates processing from target hybridisation to data generation by combining hybridisation oven, fluidics and imaging into a single bench-top instrument. In conjunction with a Beckman Biomek® FX robot for 384-array formats, the sample-processing workflow is essentially fully automated, providing high levels of reproducibility, throughput and productivity. Production-scale throughput with single-cell sensitivity and consistent results. One simple system to develop, validate, and deploy your gene expression, methylation or SNP genotyping panel. Go from dozens to thousands of samples and targets per day using nanolitre reactions. The high-density BeadArray and Infinium technology enables expanded genomic coverage for microarray techniques such as whole-genome genotyping (up to 5 million SNPs) and detection of large structural DNA changes. BeadChip arrays also support high sample throughput in targeted genotyping and DNA methylation analysis. 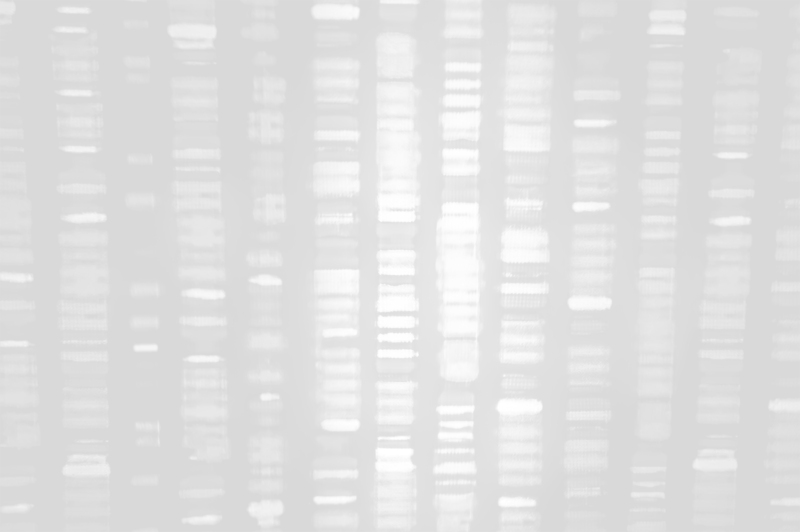 Illumina genotyping arrays allow for powerful genome-wide association studies, and can accurately detect point mutations, copy number variants, and chromosome aberrations. These microarrays enable a broad range of techniques, including human genotyping, custom genotyping, plant and animal genotyping, and cytogenomics. Targeted arrays allow to genotype specific sets of targeted single nucleotide polymorphisms (SNPs), and focus research efforts on biologically meaningful variants. Microarrays with targeted content also enable greater throughput for screening large sample collections. Illumina offers a variety of disease-specific and population-specific array solutions for targeted genotyping. Infinium Oncorray-500K BeadChip – A comprehensive, high-density microarray kit enables research into cancer predisposition and risk. Infinium ImmunoArray-24 v2.0 BeadChip – Evaluate autoimmune disorder and immune function-associated genetic variants on a single array. Infinium PsychArray-24 Kit – A cost-effective, high-density Illumina microarray for large-scale genetic studies focused on psychiatric predisposition and risk. Infinium Multi-Ethnic Global BeadChip – A cost-effective array for understanding complex disease in diverse human populations. Infinium Multi-Ethnic EUR/EAS/SAS BeadChip – A cost-effective array for understanding complex disease in European, East Asian, and South Asian populations. Infinium Multi-Ethnic AMR/AFR BeadChip – A cost-effective array for understanding complex disease in Hispanic and African American populations. Infinium QC Array-24 Kit – A High-Throughput, cost-effective genotyping for quality control, tracking and stratification applications including biobanking. Infinium Global Screening Array-24 Kit – A next-generation genotyping array for population-scale genetics, variant screening, and precision medicine research. The Oxford Genomics Centre is the only UK service provider to have joined the Erasmus consortium, allowing us to offer the Global Screening Array to his customers at less than half the standard list price. Find out more about the imputation-based design of the Global Screening Array. Genome-wide methylation profiling can help researchers to understand the functional mechanisms at work in complex disease cases. Illumina offers powerful solutions for studying heritable changes outside of the DNA sequence. Illumina methylation arrays, covering the majority of RefSeq genes and CpG islands, allow researchers to quickly and accurately analyse and quantify methylation across the genome. The multi-sample array format, automation compatibility and low per-sample price make larger projects amenable to analysis. As part of the workflow, we perform the conversion of methylated cytosine (5-mC) using the Cambridge Bioscience EZ DNA Methylation kit or hydroxymethyl cytosine (5-hmC) using the TrueMethyl CEGX kit (see Epigenetic analysis on Illumina EPIC arrays in Knowledge section). The assay then measures the proportions of cytosine and uracil at target sites for methylation. Illumina microarray software offerings include tools to facilitate experimental design, sample tracking and microarray data analysis, improving the speed and robustness of each study. The Illumina GenomeStudio Genotyping and Methylation Modules allow analysis of data collected from Infinium® Genotyping and Methylation assays. The latest version of the Illumina GenomeStudio Software 2.0.2 is now used to perform genotype calling while Illumina GenomeStudio Software 2011.1 is still utilised for methylation profiling. (Genome Studio software). In each version, we undertake data QC but you can check your data directly with an easy-to-use Control Dashboard. By default, at the end of your project you will be provided with a Genotyping or Methylation final report (.txt), a DNA report, samples table including call rate, image data (.idat) and a project summary Report with QC assessment. These cover all aspects of the experiment and highlight any poor samples or assays. KaryoStudio software v1.4 has been designed specifically for cytogeneticists who are using Illumina’s Infinium products to detect aberrations in the genome. KaryoStudio accepts Infinium data, automatically performs normalisation, scans data for abnormalities and generates reports for user interpretation. We offer the full range of Affymetrix* microarray products for Human, Plant and Animal genomics and transcriptomics, based on the GeneTitan automated platform that operates exclusively in a plate-array format. The Axiom™ Genotyping Solution offers a uniquely flexible choice of customisable arrays or pre-designed arrays with imputation-aware designs drawing on the largest number of populations of any array technology. The photolithographic manufacturing method enables high levels of customisation to support GWAS, replication and fine mapping in a single design, and facilitates re-ordering of custom designs, since masks are kept as long as required. Axiom offers a choice of over 10 million wet-lab-validated and fully-annotated markers to create optimised array designs. Axiom Biobank Genotyping Arrays – High-value genotyping of large sample cohorts. Imputation aware GWAS module for specific populations. Fully customisable modules covering content targeting transplant research, Inflammation and HLA, eQTL, human disease and Exome, featuring the UK Biobank Axiom Array. Axiom Precision Medicine Research Array – Genotyping resource for researchers driving deeper scientific insights into a variety of important health questions related to common and rare inherited diseases across a wide range of populations. Axiom Population Focused Arrays – Axiom™ World Arrays and Axiom™ Population-Optimised Arrays are genotyping panels that offer genetic coverage of rare and common variants for efficient genome-wide disease association studies. The use of imputation enables a highly cost-effective, budget-conscious alternative to other commercially available arrays. Axiom Microbiome solution – The Axiom™ Microbiome Array enables the detection of all known microorganisms in a sample with species- and strain-level identification in a single, scalable assay. The proprietary photolithographic arrays help ensure fidelity and consistency across manufacturing batches, with designs available as long as required. The Axiom™ Genotyping Solution for agrigenomics provides breeders and researchers with powerful genotyping tools to identify, validate, and screen complex genetic traits in plants or animals. Arrays can include curated and novel markers. Affymetrix* provides a variety of tools, resources, analysis files and sample data to support planning and execution of microarray experiment. Affymetrix* offers a variety of Microarrays for different organisms and multiple array types with the Clariom™ and GeneChip™ microarray designs. Affymetrix* also provide free software for detailed analysis of controls, transcriptomic profiles and differential gene expression. Explore Thermofisher’s “Getting Started” and “Troubleshooting” sections for solutions to top inquiries and common problems. Browse through our “Guides and Tools” section to access a comprehensive portfolio of product-related support resources. Researchers planning to screen dozens to hundreds of samples for dozens – or more – loci in custom panels should consider using the Fluidigm Biomark HD platform. By miniaturising and parallelising assays using a proprietary microfluidics device with nanolitre reaction volumes, it is possible to attain very high throughput and low cost per datatapoint with optimal sample use, or to reduce cost per sample while running only a few samples at a time. Combined with the IFC controller HX, the assay options include the FLEXsix and 96.96 IFCs (information below from Fluidigm website). The FLEXsix IFC has six 12-assay-by-12-sample partitions that can each be run separately or together. Run each partition independently as separate experiments or run multiple partitions simultaneously. Run different combinations of 12 to 72 assays or 12 to 72 samples per experiment. Use the first partition on day 1 and take up to 90 days to use the other five, with no loss in performance. Run fewer samples more often—no more waiting to collect enough samples. Move low-throughput work from plates to the FLEXsix IFC and never have to re-optimise when scaling up. These IFCs allow you to radically reduce hands-on time and total time to results while increasing the data accuracy of your gene expression or SNP genotyping studies. You get great data reliability and the microfluidic architecture does the heavy lifting, combining samples and assays into 9,216 parallel, 6.7nl PCR reactions. That’s up to 24 times what you get with a 384-well plate, and it only takes 15 minutes of hands-on time.